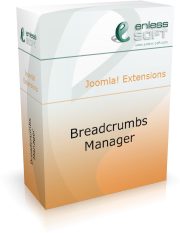 Here you can take a look at the Breadcrumbs Manager user interface. Shows an overview of all defined breadcrumbs patterns. This is the form used to create or edit a breadcrumbs pattern. This is the form used to add or edit a custom breadcrumbs item. Shows an overview of all defined custom breadcrumbs items. This is the form used to create or edit a static pattern item. Shows an overview of all defined static items. An example definition of a PHP breadcrumbs item. An example definition of an SQL breadcrumbs item. An example definition of a text breadcrumbs item. This is the form that is used to set global parameters for the product.